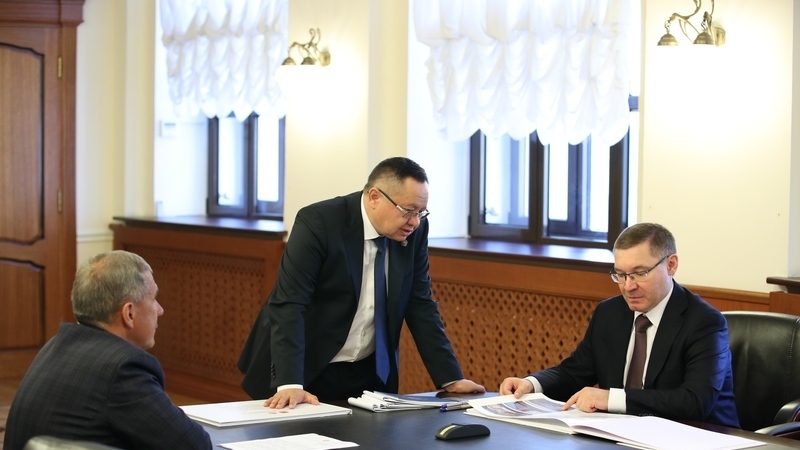 On August 9, Tatarstan President Rustam Minnikhanov together with with his Aide Natalia Fishman and Regional Minister of Construction, Architecture, Housing and Utilities Irek Faizullin arrived on a working visit in Moscow to meet Russian Minister of Construction and Housing Vladimir Yakushev. During the meeting, they discussed issues of implementation of a number of regional programmes with the participation of federal funding in the area of housing construction, capital repair of multi-apartment houses, the formation of a comfortable urban environment, etc. In total, 38 construction programmes are being implemented in the republic, including the programme for the development of public spaces. Tatarstan ranked first among the regions of Russia for the implementation of the priority project “Formation of a Comfortable Urban Environment”.